The Nemesis Fighting Alliance is ready to set the night on fire when it returns to the Farmington Civic Center on Saturday. Mixing up the formula a bit, Nemesis will be offering a night of fights and music with a special concert by St. Louis-based alternative band Greek Fire. The Greek Fire is made up of former members of the band Story of the Year, and had their first break through single "Doesn't Matter Anyway" in late 2010. This spring they released their second full-length album entitled Lost/Found. But before the band takes the stage, fans in attendance will be treated to amateur MMA and Kickboxing matches. NFA's Beejay Smith has put together a another strong offering featuring several fighters from the Farmington area. 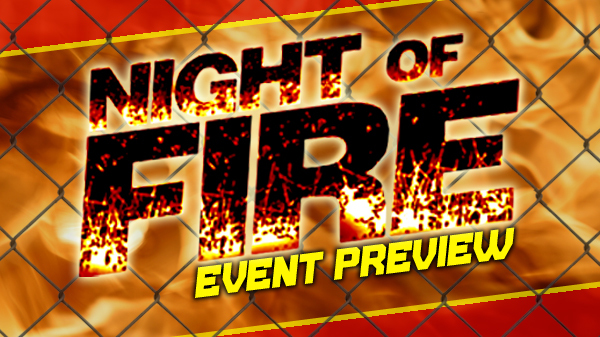 The main event for Night of Fire will feature a battle of two of the area's best light heavyweights with the winner being crowned NFA champion. "Tony Souders had a very impressive victory against Chris Heatherly last year," Smith said. "The NFA didn't have a 205 title available. With the debut of the 205 title we see it fit for Tony to be the first one in there." Souders started his career with a blistering 7-0 before dropping his first loss to Brandon Cronin in last year's 205-pound Spire State title. Souders and Cronin battled for 5 rounds before Cronin was able to submit Souders late in the 5th. Cronin is still the only blemish on Souders stellar amateur career. Look for more on Souders in our feature later this week. "Most 205ers have went down to '85 or up to cruiser-weight " Smith said. "The man who wanted fight title or not was Bil Dwyer. So fighting for the NFA lightweight title will be Tony Souders and Bil Dwyer." Dwyer from Defiance MMA in Petosi has fought the majority of his fights under the Nemesis banner, including last April's main event against Tom Baker. Dwyer hits hard, but Baker was able to neutralize Dwyer's strengths by taking the fight to the ground. He'll look to keep the fight standing and make use of his fight-ending power. The co-main event will feature a pair of cruiserweights with the winner getting a shot at the NFA title at the next event. Tom "Taz" Baker (7-2) recently changed up his training by moving his camp to the Vaghi school in Fenton. Baker, an already exceptional grappler, now trains under the watchful eye of fifth -tripe Rickson Gracie black belt, Rodrigo Vaghi. He steps into the cage with opponent Jonathan Stotler. 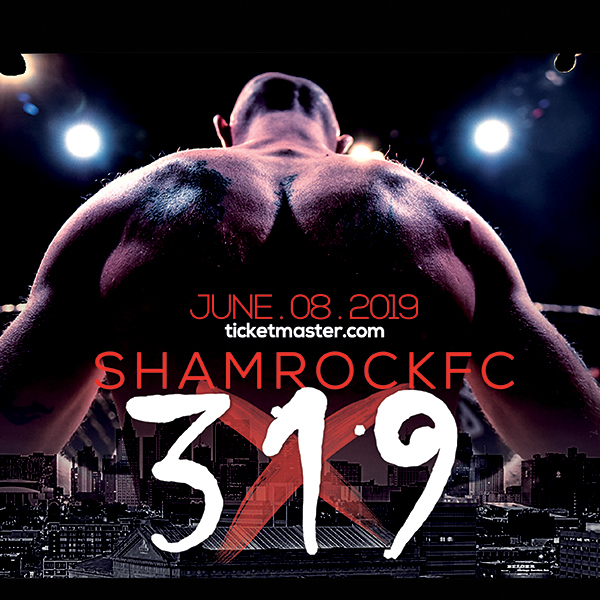 Stotler (7-2) trains out of River City MMA in Soulard and has slowly improved becoming one of the area's best amateur lightheavy/cruiser-weight fighters. "Tom is a high caliber wrestler, but so am I," Stotler said. "I don't think he's faced anyone who's wrestling can match his." Baker, one of the shorter fighters in his division, will have to overcome a sizable height advantage from his opponent. "He's 5'8" or 5'10", so he's considerably shorter than I am," Stotler said. "I think that poses the greatest challenge. My height and reach is only an advantage for me if I can stay on the outside. I need to keep my takedown defense sharp, especially from the clinch. " Stotler familiar with Baker's resume, is preparing for a 3-round war. "Tom's not known for finishing fights, he prefers to finish his opponents mentally,and let the judges declare him the winner," Stotler said. "That won't happen with me." A confident Stotler appreciates the opportunity to fight Baker, but is keeping the match in perspective. "A win over Baker would be big, but not monumental," Stotler said. "It may increase my ranking, but I'm not too worried about that. My main goal is to get experience and keep working toward the ultimate goal of turning pro." Ironically, the weight classes that are thin in the St. Louis amateur circuit are the light heavyweights and heavyweights. So it's a special treat to have four of the top guys in the big weight class fighting on the same card as the main and co-main event. Also on the card is a match that could produce fireworks is the durable Daniel Schaab training out of Destruction MMA and the fearless Andrew Decker from Fearless MMA. Schaab sometimes has trouble finding opponents, and Decker will come well prepared for Schaab. Schaab took a bad shot from Jesse Farmer in December but has since rebounded with a win in Cape Girardeau back in February. Decker was victorious at Rumble Time against Tim Mantle.